This post is going to be short, sweet, and right to the point. Most people would put manifesting prosperity at the very top of their wish list. 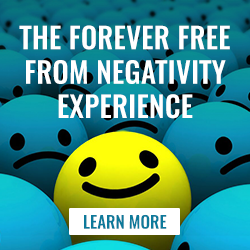 Those same people would generally look at the lack of manifesting prosperity as a bad thing. See, for most people, when they have a lot of money, that abundance translates into a lot of options. That increase in options often translates into a lack of focus. That lack of focus often translates into spinning your wheels, a loss of productivity, and being majorly distracted from what’s truly most important to you. 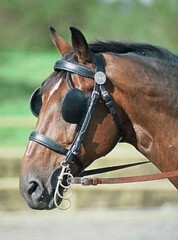 Sometimes, the best thing the can happen to you on your journey, for short or long periods, is to have less money available because it keeps your options limited, it keeps you focused, and it keeps you on a single track — like horses that have those blinders on their eyes so they can only look forward. I say this from deep personal experience of witnessing what happens with a tight money supply and a wide open money supply — in my own life and the lives of many others whose journeys I have knowledge about. Most people would argue me to the death about this. I fully expect to receive numerous comments saying I’m nuts, or this is just some sort of impractical, airy-fairy, esoteric idea. But it’s not. It’s very practical. And VERY important. As I’ve talked about in past posts, and as I’ll talk about again in future posts, there’s a plan for your life. You have a specific mission and life purpose. Often, to fulfill that mission and purpose, which is what you REALLY want, what your life is REALLY about, it involves having a limited supply of money — your whole life or at certain times. I welcome your comments below on this as well as your shares using the buttons below or the Facebook Like, Tweet, or Google +1 buttons at the top of the post. I agree. I’m sure that if a person became wealthy, but without the capacity to properly handle money, that they’d end up far worse in the long-run; not only broke but heavily in debt as well. I want prosperity as much as the next guy, but not if it will end up in disaster. I do hope my “script writer” changes themes pretty soon, though. I’m getting tired of this same plot year after year. PS Is there any way to fire the writer? The “writer” is smarter, more powerful, etc. than you could possibly imagine and has a Big Plan — just like a novelist or screenwriter. You wouldn’t want to fire Him/Her. None of “us” are qualified to drive the bus. We just think we are. Great post Robert. There is enormous freedom in having a joy despite poverty. A joy that shines forth because you understand that poverty is a creation no different in ‘value’ than wealth. Creation is creation right? Very vast perspective…and so correct, creation is creation! Yes, and the opportunity, the very real opportunity I began to Experience, is to Experience it all, without the names, labels or judgments. Not as an idea, conceit, mind game or semantics, but actual Experience. Really Experiencing what’s happening as simply what’s happening — not wealth, poverty or anywhere in between. I absolutely agree with you Robert, I Experienced lot of money and less money available. So I Speak from me one experince. But something persist on me, no just about money , about the hole journey. Is it able for limited human player to play absolultly free o labels & judgments? Aren`t them just lingustical creations? I`ve goy some noice in this issue. Ys, it is possible to play without judgments. And it is possible to play while remembering what the labels were, using them without the same meaning attached, and not using them too. This is what the Being In Truth Experience is all about. I absolutely agree with you Robert, although I have never had great wealth in my lifetime, every time I get near a substantial increase in wealth, the bottom falls out and I end up where I began. It has taken me many years to understand this pattern but along the way, my experience of myself has become increasingly richer and so empowered (this goes far beyond what words can express). Also, as each day goes by, the ‘vision’ that has been with me since my birth comes more clearly into view…even though I have never quite known exactly what that vision is, as it unfolds I ‘know it’ in my heart and I know I am bringing it into being simply by allowing my days to unfold in Trust. As for the present moment, I am experiencing more and more of that ‘vision’ (or plan as you call it) coming into my reality on a daily basis – I could never have manifested something this magical through my thought processes based on what I thought I wanted…so yes, there is definitely a plan, and if you have the courage to flow with it in absolute Trust, it will bring you delights that will constantly astound you, which have nothing to do with money, but money is included, too, it’s just not the power, YOU are the power, YOU are the magic ! This is what I often think about ! This life experience is so much “richer” and deeper. To discover gold was not about the physical but the inner gem within and to go on journeys that are multi dimensional. I have a long way to go in still breaking through cloud cover , but I Know that I Know there is The Something that ‘i’ don’t know yet. Thank you Robert , I never thought I would send a comment to you , but thanks for speaking Truth. That seems to be my “job” 🙂 and I love it. This is truly brilliant. It answers lots of my questions about life. We are guided to achieve our life purpose. We are continuously trained and prepared to achieve what we came here for. Part of our training is to have abundance of wealth sometimes and to be short of it at other times. Yep. This is one of several VERY important pieces ignored by most self-help and spiritual systems that claim “The Mind” and “thoughts and emotions” have all the power, can be tapped with techniques to create anything, etc. There are always “filters” — life purpose is a filter, the dynamics of Phase 1 is another one. There are others. It seems to me, as we grow up, our personalities “egos” form a bit from here, a bit from there and we just go on accepting whatever is thrown at us in life, forming very complex shaky personalities that we think they are us. Yet, these personality are so shaky, full of anger, fear, and worry. They want to be recognized and appreciated. They scared from getting old, from sickness, and failure. Nothing seems to satisfy them as they get bored with everything. This seems to go on until one day they get a series of major shocks, like in my case, as I lost everything in trading, and before I recovered from this a shock, and even bigger shock in the form legal problem came along and has been going on for five years and may continue for another five or more years. The major legal shock happened in September 2007, exactly two months after receiving your book “Busting Loose from the Money game”. Good job I read the book few times in those two months and memorized and lived the process. I applied the process day a night for a a very long period. Almost five years passed, but I feel so much peace now and I am certain, that I needed all those shocks to wake up. It is very clear to me that those shocks were perfectly planned to take place in my life as part of evolution process. I feel it is time for me to live phase 3. When I had a lot of money, I had no idea whatsoever what I wanted to do with my life. I hadn’t met these teachings at that time, but I sure could have done with them! When I eventually ‘lost’ all that money, I had by then found similar teachings to yours Robert, and realised that ‘peace of mind’ was what I wanted more than anything else, and much more than money. How you speak of ‘peace of mind’ resonates completely with what I deep down know somehow to be true. So I too love this post! For me, when I realized that Knowing, Seeing, and Experiencing The Truth was more important than anything else, what I wanted most, that’s when the biggest “breakthrough” happened. Yes, money’s the most consistent hypnotic trap in phase 1. It gets in the way of everything. But the time comes when it loses its hold – even when there’s very little. Then I feel free. But, its not consistent. Thanks for sharing this Robert. i really do see money as just another prop in my story. However much money i appear to have is the exact amount i’m ‘here’ to play with in the moment. That may or may not change. And it’s so freeing to not feel the strong pull of thinking i want or need more. This moment, like every moment, is perfect, down to the tiniest detail, and a perfectly brilliant experience to act out. I have been “on hiatus” from my “day job” as a cab driver since December 6, 2011, due to a scuffle with the law that is about to be resolved shortly. I am trained and licensed as a chiropractor and acupuncturist, but have put that on a “back burner” for years because driving a cab was immediate money. Now I don’t have 80-hour weeks of cab driving standing in my way and I am forced to deal with it. I also am getting an ever clearer vision of how I want to put together a professional practice, and it took drastic circumstances to get me to look at that. Yes, my income now is a fraction of what it was 4 months ago and I have had to request handouts from family. I experience that as uncomfortable still, but I am also becoming more trusting of seeing this as a drama unfolding, wondering “What’s next?” in the script, instead of dreading the worst case scenario. I probably will go back to driving a cab, but only for awhile and working less at it, while devoting more time professionally. Living with financial limitation has shown me I can get by with less income than I thought I did, and my payoff is now having time for my life purpose. I have it backwards of what you wrote, lack of abundance and not focused, always got to be unique about things I guess. Well Robert, you have done it again. I would love more ‘money’ to be able to do some simple things like take a holiday, visit my son living overseas, enable mu husband to retire and do what I really want to do in terms of creative expression. Yeah I could argue with you on this post, on the one hand, but there have been times when I wondered what the point of all this money issue was and so I can agree with you totally too. You make a clear and truthful point I think. I no longer feel those desires that so many espouse to have bigger, better and more and to mix it with those who seem to have it all. I have realised that I am not interested in all that anymore. I am aware that one has to be really happy with what one has to be then able to handle, as it were, the lures of the money game: to follow one’s true nature and not let the game take over. For me, when I realized that Knowing, Seeing, and Experiencing The Truth was more important than anything else, what I wanted most. I have no other life purpose other than that in my terms, and I am beginning to see that,no matter how alien I feel at times from the crowd. FOr there sure as hell is no other purpose!! Just not that good at it though perhaps. I agree with Clark tho’ – a new script would be nice. The plot and patterns are so old hat. Such a cloudy weather pattern. Robert- I am old enough to know your message is so very true. I’ve had it both ways and know the feeling of less money than I wanted – this kept me focused on the work at hand, while experiencing so much about what I was put here to learn and share. Many years on a sailing adventure gave me the certainty that focus is the key to inspiring a well-lived life. Thanks for your post. i very much like the “focus” reminder as i need that right now. thanks Marilyn! Great post and also the comments too. On the one hand I second what was said about changing the script and on the other I contemplate how brilliant I (as The Infinite Beimgness) must be to create the script in the first place place so I can enjoy the game at this apparently “limited” level. I have slowly been comming to this Revelation. As I have all the Talant, Skills and Knowlege to make a Fortune,but can’t seem to make it happen. Mabey that’s not what I’m supposed to be doing or Mabey I have to keep pressing on. Only God knows!!! I agree! This is such an interesting and refreshing thread. I appreciate all the good comments! This is soooo true, and as a matter of fact, I was just thinking the same thing myself. How having limited funds has helped me tremendously! Very Good!!! I love your teachings. What annoys me though is how you describe what Is as creation. Creation is a linguistic concept. To say that what IS, is creation, is also not real. The only thing that is real is experience, to say that there is a creator is not something that can be proved, or disproved, thus is simply unknown. You are welcome to your annoyance, Ian. What I’ve discovered is that the closer you get to The Truth, the more words fail to describe what is begin Seen and Experienced. Ideas and concepts can NEVER describe The Truth. At best, they can only point to it. What I’ve discovered is that at when you reach the point that words seriously begin to break down, one must stop taking them too seriously, analyzing them, thinking about them, picking at the obvious flaws in them, and do his/her best to See what the words are pointing to. While inaccurate to one degree or another, I find it useful to talk about created and Creator as a way of pointing to Truth, and bridging the ago between lies, illusions and stories — and Truth. Again, you are welcome to your annoyance. I don’t believe being either filthy rich, or church mouse poor matters squat. What matters is the desire to get back into Truth. Which is attainable from both positions. As for words; well, until you’ve experienced the wordless reality, even for a briefest of moments, you will not really know. 1 years ago I had an experience of being in the wom and it was impressed on me (communicated to me) that this time i would see. I then felt a tremendous quickening and whoosh I was born. This experience I realised was also a second birth and not just a remembering as it seemed I was being born again and was now a `twice born` whatever that might mean. `Seeing` and wanting to know the truth has been my purpose and it seems my mission as it is there always prompting when I get side tracked. Many experiences and revelations have come from this, and sometimes it has seemed like I am waking up from a nghtmare. Money is linked with my mother, somehow the two have become tangled up. I need to beware of wanting peace because peace can sometimes be the need to get rid of something or someone in order to find relief from the fear they are causing. I am always aware that relief holds a hidden fear, while a true realease is like grace descending and because of the revelation that comes with it there is an instant understanding of how we are causing our suffering. Thank you for putting this up Robert as it is so helpful when you shine a light on a controversial topic like this. It is great too that you are now interacting as your words now have an added aliveness. very thought provoking post. It give me lots to think about. I’ve invested mightily into personal growth and prosperity programs and also notice I have always had some difficulty with focus. I am also struggling financially. Hmmmmm… Thanks for giving me this perspective. one is inspired or inwardly directed to do. This post and the comments made me cry. If the purpose of the “human experience” is to experience limitedness, what then would we do if we were complete masters of our lives with no limits? If we are truly one with the unlimited, that knows everything & thus needs no learning, what purpose is served by experiencing limitedness? PS. There’s is small voice telling me, “if you have to ask, you’re not ready for the answer”! The purpose of “Phase 1” of The Human Experience is to experience limitedness. Not necessarily the entire Game, although that’s possible too if it is chosen. There is Phase 2 and 3! What is the purpose? Only this: to play, explore and express creatively. The same reason why we read books (and writers write them), why we watch movies and TV shows (and writers write them, actors act in them, etc. ), why we go art museums (and artists create what we see), etc. Well, for me your “money book” Robert was never about money ….. only;-) …but a very profound spiritual book right from the beginning. And as “money” was (for me) only a word for many other topics like health, relations,… I guess you can use the techniques for so many things. I´m still wondering whether it was ment to be like that from the beginning on, Robert? I´m curious! I even had the idea whether it would be a supportive project to make another book, kind of “translating” it for example to health “experiances”, to avoid the word problems, as its the same with that as mentioned here: feeling poor or experiencing a disease (wich is both nor real)- both boosts your spiritual evolution! For me mine started with health problems many years ago, but could have been money also. So – of course, being poor is as great a gift as having a major disease. At least mostly it helps the spirit to shine through!! And also of course, mostly one can not see this right from the beginning. With a little thust and some good faith in the beginning however (and my be a good book;-), it might work out better and better!!! Money was chosen as a gateway or entry point into The Teachings, since money is something everyone struggles with whether they have a lot, a little, or none. It was always meant to be about all of life, just using money as an entry point. The same tools, mindset, etc. can and are being used by players in all aspects of life, including health. I think one of the greatest discoveries I’ve come to understand and experience is that I’m not in control. I’ve never known enough to be in control only thought that I did. This can be a tough pill to swallow especially when you see wild swings in your income and every bill collector seems to be calling you. The questions I ask myself is “How can Knowing and Experiencing what is True not be the best thing for me? Do I really believe that I know more or what is best for me than that which created me? If I just truly be with the answers without my story I’d have to say “NO.” If I believe that getting to some other place with a wad of money in hand is better than where I AM not is not truly understand what is Really happening right now. Robert, I love how you turn the apple cart upside down in the face of conventional wisdom which is purported to Be True. That is a great discovery to make, especially when it moves from idea and concept to Direct Experience. Thanks for the kind words. Truth be told, I’m simply the Narrator of an extraordinary journey I’ve been taken on. I came to realize that it is fine to have dreams, desires, plans, expectations, but we must be free from them all because the outcome might be or most likely be different than our expectations. It is fine to love, to think, and to aim for great wealth and success, but must at the same time be free from them, because God/the Universe has plans for us that might totally different. If we are not free from our desires, expectations, thoughts, dreams and possessions, then we become enslaved by them. I may love to own a great car, and when I have it, I become enslaved by it and after a while, I may get bored with it and seek to be enslaved by another one that I think is better. I am willing leave my slavery to one only when I find another master. But if anything happens to that car I will feel angry and frustrated, because I am a slave to it, not the owner as I thought I was. Therefore, I am now having all kinds of dreams and desires, but I am at the same time aware that I must keep a distance from them to maintain my freedom and let the outcome be what it wants to be. I am grateful to your teachings Robert that helped me greatly to reach this level of freedom. The account below is what I now know with a capital “T” to be TRUE since I have been playing the Phase II game. Language does not quite adequately describe the Experience. It’s quite different from anything that I have ever done, any book that I have ever read. After going back and listening again to more than 3 hours of Robert’s question and answer sessions I came away with some new insights. I’m not quite sure why I didn’t see it as clearly the first time through. I truly realize how cunning and magnificent my Expanded Self had to be in creating all that I’ve experienced in my lifetime and being able to pull it off successfully. I can now See where my Power is literally hidden everywhere. In every illusion. I am also realizing that anytime I feel uncomfortable about anything there is power there? Why? Because I cannot be uncomfortable about anything without judging it. I also realize that I can’t intellectualize my way into knocking out the cloud cover. I am now understanding that I cannot get there through the mind. Words are only pointers I have to fully immerse myself in the Experience of knocking out the cloud cover by using the tools. 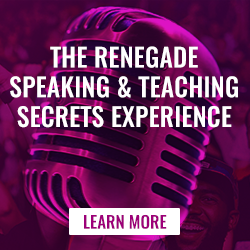 One common theme that I heard while listening to the recordings is that most everyone though their situation, problem, challenge or circumstance was unique. They wanted a way to get out of the illusion that they have made real. I now understand that my only job is to use the tools to knock out the cloud cover and that everytime I do this something happens in the clouds whether I see it or not. I had to also realize that this is not another manifestation technique. Trying to fix, change or improve the illusion is a fruitless effort. Many times its challenging to realize that what I want to change, fix or improve is not real. I’m learning to accept the fact that anything that my Expanded Self leads me to is just raw material which gives me the opportunity to use the tools and reclaim my power. I’ve also learned that I cannot get their through things that were taught to me in the self-help world such as self-discipline and simply wanting to change. When the Truth is known the illusions lose their power and collapse on their own. The Truth (My Power) has always been there. There is no way that it cannot NOT BE but it has been hidden in the dark by all the lies, illusions and stories which were perfect for playing the Ultimate Human Game. This part was a bit scary for me but also quite relieving. The script has already been written. I have never been in control of anything that has ever transpired in my life. If I tried to remain FREE, if I tried to have the so-called ideal relationship, if I tried to make 60k or 600k a year, if I tried to be the ideal father or dad, or if I tried to be a certain size or weight, all were never up to me. If it’s not in the script then its not going to happen and no amount of will power, law of attraction, hoping, wishing or praying is going to create that. There is no way I cannot fulfill my purpose whether that is dying in a prison cell, standing on stage in front of millions of people, dying of a disease, or even suicide. If it its in the script then there’s nothing I can do to change it neither should I want to if I am seeing the Truth. I’m not sure if I am on page 150 or 310 of a 400 word novel but who I Am truly goes on. Don’t think I have not screamed to the top of my lungs many times wanting parts of my life to be another way or not be at all. Don’t think for a minute that I go to sleep many nights not caring if I wake up the next morning. Don’t think for a minute that many times throughout the day that I feel that I Fu%$#@! up my life. Do think for a moment that I don’t cry, whine and moan wishing that this would all just go away and that I could have another chance to make the “right” or “better” decisions. Don’t think for a moment that I think my story is different from everyone else’s story. But so far I have pressed on. To me, it makes perfect sense. Let me share a metaphor with you. J.K. Rowling is the author of the Harry Potter books. Harry Potter is a creation of her imagination, her consciousness. A story unfolds in which Harry has a role to play, a mission and purpose. Now, imagine J.K. Rowling is Infinite Potential, as you call not, and you are Harry. It’s the same basic thing. Well , we all know by now that none of us get out of here alive , so just like the thrill of a roller coaster ride , enjoy that fear of whats to come on the way up and scream your lungs out on the way down,none of this makes any difference anyway! Seems all very “deterministic”. Meaning, I have no choice; as the “script” is already written & directed by the creator & I’m merely playing the role assigned me. If that is the case, my apparent “waking up” is merely another script that I follow as intended. A terrifying concept. The only one that might be worse; is if I do have choice to do/be/experience whatever I desire. My experience couldn’t be more opposite. It’s all Truly Extraordinary, quite Joyous. Thank you Robert, you give me so much new ways to see things. After reading your Busting loose book I related to it totally as I have experienced similar idea already before – I just was too scared to take that road that day to brake my box (as I call it, I saw it as a little box in a limitless universe where i was living my illusion and the idea of nothing outside is was scary). Now I have jumped there, cracked my clouds and am conscious about myself as a creator most of the time. I don’t know if I am in phase 3 as I don’t know what it is about. However, I was thinking few things (or lets say it is my limited mind who thinks and this feels really funny but I write it anyway)… when you talk about the “script” do you mean that whole plan which our limitless part or “godself” or whatever anyone wants to call it has made? I mean I see it a way we have this plan which is absolutely and only dreams come true, if we have courage to follow it. (in other words when we see the Truth, the True Plan gets into play?). Or are you seeing thing more that now you don’t have plan but you create consciously one every moment (that’s what I am suggested by the Creator of my story). Which means in either case there is abundance – the dream come true plan has it and conscious creating from our infinite part of us has it too? Secondly, how do you see angels or ascended masters? Part of new agers’ game only? Thanks a lot! I am with your teachings! The way I have been shown The Truth, we are all characters in extraordinary stories. I’m fond now of using the Harry Potter books/stories as metaphors. Harry Potter is the main character in an amazing story. So are you. Harry Potter does things, says things, feels things, thinks things, etc. in the stories. It appears as if he has free will, can choose, does choose, has power. It appears as if it’s “him” doing, saying, choosing, feeling and thinking, but it’s not. It’s really J.K. Rowling, the author expressing herself creatively as Harry. Harry, Hermione, Ron, Voldemort and everyone else can’t do or say or think or feel anything unless J.K. Rowling first wrote it. What she writes is “the script” you’re asking about. When we read the Harry Potter books or watch the movies, it appears as if everything is unfolding realtime, page by page, moment by moment, but the story has already been written, it’s already “in the can” so to speak. It is all “pre-destined” if you will. Just like there was a “plan” for Harry and his story that unfolded over 7 boos and 8 movies, there’s a plan for each of our stories that enfolds over however long our lifetimes are. I could go into much more detail on this, and I do in the “Being In Truth Experience” but this is a quick overview in response to your question. Using your metaphor of Harry, are you considering yourself now as “J.K Rowling”(writer) in your life, or are you still “Harry”(just creation who acts only what writer has written) but conscious about it? The Truth is Harry and J.K. Rowling are one and the same Consciousness. As I said, you can’t separate them. But for purposes of discussion, agreeing to your chosen perspective for a moment, I’m still “Harry” in terms of the story that unfolds in daily life. Ever see the Will Ferrell movie, “Stranger Than Fiction”? An excellent and revealing view of an individual’s life script. What concerns me, is this. If I’m only a “fictional” character in a play who must follow my script; then “I”, (or is it “i”? ), have no purpose, no choice & no responsibility or consequences. After all, I’m only robotically acting, doing , being what my script dictates. “The Devil (or God) made me do it. I would hope the purpose of living was to “wake up” & join the creator as a co-creator in writing my script. He “muscle tested” here and told her that it wasn’t her thyroid that was the culprit, but rather THE GALL BLADDER!! Who the hell woulda thunk it? Get this… She first saw him on a Monday, and by Thursday morning it was all gone!!! Now please tell me, in what physical universe do things like that happen. I personally have been “instructed” by someone in my sleep several times, and when I woke up, I had skills of an expert in areas that I’d never practiced even once! After taking chemistry in college, and re-taking it several times (cuz there were things that just didn’t make sense to me), I was just about to drop out again when this “instructor” taught me chemistry. I woke up that morning, and I did have a chemistry class that day. Guess what? I made nothing but 100% on my tests after that. I would love to discuss some other things with you if you’re ever up to it. Thank you for your clear teachings. It has put everything in perspective for me. I like this post. It reminds me of people who wait to live their life until they have lost weight. Just as being heavier than you prefer shouldn’t keep you from a great relationship, or whatever, neither does lack of prosperity mean you can’t do what you want. If I look at the reasons why I want prosperity, it is rarely to have more material goods. It is more feeling like certain things will be more likely to happen if I have more money to do them. But now instead of thinking about the money, I just go for what I want to experience. I just want to enjoy THIS moment. THIS life. I try to do things because I want to do them, not because they will bring me more money. It feels so much less twisted up! How do you picture our Expanded Selves, or Infinite Beings? Are each of us in the Human Game the ‘avatar’ belonging to a seperate Infinite Being? Or is there only One Infinite Being creating multiple ‘selves’ to play the Human Game in Phase 1? One Infinite Being who plays, explores and expresses creatively through an infinite numbers of avatars to use your language. I want to express again my deep appreciation for your gift of the JTI course. Clear, concise as well as entertaining. By simply Understanding (with a capital “U”) (sorry, I couldn’t pass that up), it has, and will, save me many hours as well as dollars going from one spiritual path to another. “I got it!” I can’t even think of too many questions to ask. I tell people that life’s a cartoon, because it sure seems to be. I’m looking forward to the time when perhaps I can take a trip up to one of your home sessions, and afterwards we could share notes and have some fun. Thanks for the kind words, Clark. It is beyond my pleasure to share JTI as a gift! I’m thrilled it has had so much impact. I will look forward to meeting you at a LIVE Ultimate Freedom too, whether at my home or somewhere else. Thanks for sharing Marilyn, and for your “defense” of The Teachings on Facebook recently. “Staying present I can see the brilliance of the story. Fear has transformed to profound trust that “All is well”. Ah, music to my ears. Thank you. I live without money almost all my live and have a lot of debt. Sometimes I really want to escape of it and today I tryed some binary trading systems hoping to earn some money (as promised by the trading software developers) Of course I lost it all and I was pissed. So it was a releave to read your post, it seems that is was ment to be so. I mean the money loss ánd the post. I will rest in poverty and find my freedom there…. This is really good medicine for me right now Robert, and it feels true for me. I can’t tell you how much I appreciate this post, as I have recently shelled out a lot of money for training for what I feel is my life purpose and I’ve been stressing about what I will have to give up in order to pay for this. Thank you. Shannon, to my bias, life purpose is what our lives, our stories, are REALLY all about at the deepest and most profound level. We are not generally conscious of the details of our life purpose – at all or the full expression of them. As it appears, to my bias, our True life purpose is not always what our “hearts long for” – at moments or at all. Thank you for this wonderfully challenging post, Robert. space-bound illusory self. The poor thing has no existence outside of it’s desirous and oh-so-dramatic (delirious) role in Story Space. Yet, it’s compulsions are so powerful that they blind us to Reality and the experience of True Creative Essence, in which we are needless, wantless, unbounded, free and dwelling in infinite abundance, here and now. 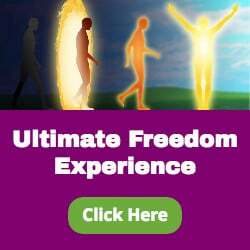 I would be honored to join you at your Ultimate Key to Freedom Experience; just allowing certain self-created cycles to run their course, at present. With Infinite Thanks, Bruce D.
Cause Your Life Coaching & Classes » Blog Archive » Stop Trying to “Make Things Happen”!